Food Costs > How Much Does Unsalted Butter Cost? How Much Does Unsalted Butter Cost? Unsalted butter, commonly referred to as the sweetened butter, is usually used for baking purposes since it does not have the presence of salt. This allows a baker to control the flavor of what’s being baked. Unsalted butter is sold by the bar or by the pound. On average, unsalted butter sold at the grocery store will be about $2 to $7 per one-pound package, depending on the brand. Smaller seven- to eight-ounce packages, which are commonly found at a local retailer will retail for $2 to $6 per pack. For example, Walmart, for example, sells a seven-ounce package of President unsalted butter for $5. Another popular brand, Land O Lakes, retails for a similar price. If buying in bulk/wholesale, such as for restaurant purposes, then the cost “per pound” can be much less. For example, at Food Service Direct, the costs of an 18-pound package retails for $97, bringing the average down to about $5 per pound. At the Costco Business Center, a one pound, four-count container of Kirkland Signature unsalted butter retails for close to $13. On Amazon, highly rated unsalted butter can cost more than $35 per pound. At most grocery stores, a one-pound pack will contain four butter sticks, individually wrapped. Unsalted butter is usually composed of 80 to 82% fat, 16 to 17% water and 1 to 2% curd or other solids. According to Fitday.com, this butter contains protein, calcium and phosphorus and vitamins A, D, E and K. In addition, it’s packed with nutrients such as fatty acids, lactones, methyl ketones and dimethyl and diacetyl sulfide. Popular unsalted margarine brands includes President, Land O Lakes and Kerrygold. Target, Walmart and Kroger also have its own store brand as well. Since unsalted butter lacks the preservative factor of salt, its shelf life is a lot shorter than the salted kind. Despite this, unsalted butter is still preferred by most people since it gives more precise control of the amount of salt added to a recipe. 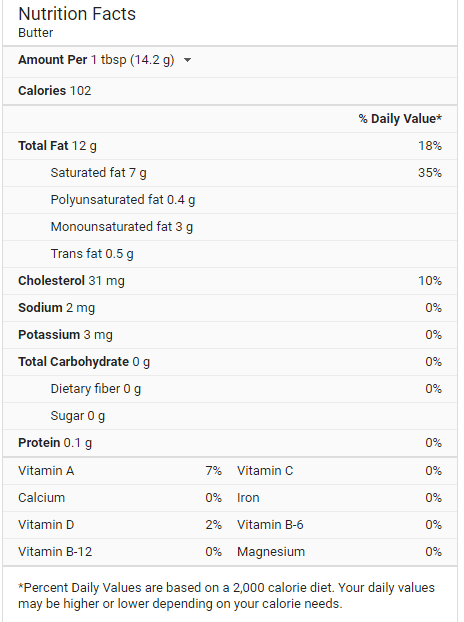 According to Foodsita.com, unsalted butter may actually have more fat or more water than its salted counterpart. With that, it can affect crusts, short dough and other high butter content recipes. Apart from its usual use in baking, butter is also excellent for sautéing foods. Butter has a lot of healthful benefits. According to Fitday.com, butter has antioxidants that help the body in fighting free radicals. It also has iodine which supports the thyroid gland. 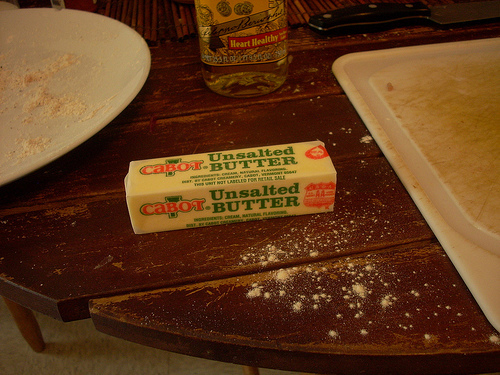 When you cook, you must develop the skill of identifying which butter to use: salted or unsalted. If you are following a recipe, make sure you add the specific butter it tells you to ask. Choosing the wrong kind can very much affect the taste. If you are baking from scratch, it may just take some trial and error to see which one works best for each recipe. When refrigerating butter, ChallengeDairy.com advises you to keep it in the coldest part of the refrigerator (32º to 38ºF) and in its original container or in a covered container. Although there is a butter keeper in the fridge, the butter is still good to be kept in the freezer since the former is generally warmer than the rest of the refrigerator. Joy The Baker talks about why we use unsalted butter. You can save money by buying in bulk either online, at wholesale clubs or even restaurant supply chains. Consider buying the store-branded unsalted butter instead of the name brand to save up to 30 percent. You can use a butter substitute if you do not have butter to use for baking. Fabulesslyfrugal.com, for example, offers suggestions you can use in the absence of unsalted butter. A pound of sweet cream (unsalted) butter usually goes for between $3-4 here, right now it’s on sale for $2.99 a lb for the store brand. Last month there was a sale for $1.88 a pound at the local grocer. Hiland or Crystal Farms tends to be cheaper, though Land O Lakes is usually decently priced. I know our cost of living is lower here, but I would consider buying a dairy cow if I had to spend $13-35 per pound.